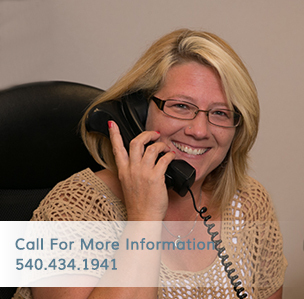 Performs a variety of moderately complex receptionist and clerical tasks. This position is directly responsible to the Clerical Services Manager. The person in this position must exercise discretion and independent judgment in comprehending, responding to and coordinating compliance with complex administrative, technical, and regulatory requirements. The position requires excellent telephone and interpersonal skills. The person in this position maintains a highly visible role in processing incoming telephone calls and greeting clients and the general public, and handles a variety of clerical duties in support of agency Administrative and Clinical staff, requiring the making of responsible decisions in accordance with established policies. Considerable judgment and appropriate actions in dealing with staff and clients and the general public is required, including monitoring for suspicious or inappropriate behavior and taking appropriate action. Must be able to work independently and maintain a high level of confidentiality. Job duties will evolve and may change based on agency demands. Performs other duties and special projects as assigned, consistent with established policies and procedures. Exceptional customer service skills; ability to operate multiline telephone system; excellent keyboarding and data entry skills with high degree of accuracy; proficiency in working with an electronic health record, including appointment scheduling; demonstrated ability to communicate effectively with customers, both in person and on the telephone, and interact positively with staff, clients, and general public; thorough knowledge of office procedures and equipment, business arithmetic and English; ability to understand and follow complex oral and written instructions; excellent communication and interpersonal skills; ability to work as a team member, within the department and within the agency; ability to use good judgment, exercise tact, and be courteous under sometimes difficult conditions; dependability; flexibility; attention to detail and pro-active identification of potential risk; good organizational skills; ability to handle multiple priorities; ability to work independently; ability to make decisions and initiate action based on established policies and procedures; ability to maintain confidentiality; knowledge of confidentiality standards and laws; ability to seek and use supervision appropriately. General knowledge of the behavioral health field and professional terminology is desired. Completion of high school, preferably supplemented by college or business school courses; plus two years of progressively responsible experience in administrative/clerical support work, including multi-line phone systems; OR any equivalent combination of experience and training which provides the required knowledge, skills, and abilities.